The Department of Pharmacology & Toxicology administrative offices are located in rooms 114, 116, and 118 on the first floor of the Kosair Charities Clinical and Translational Research Building (KCCTRB) located on the University of Louisville Health Sciences Campus at 505 South Hancock Street, Louisville, KY 40202. 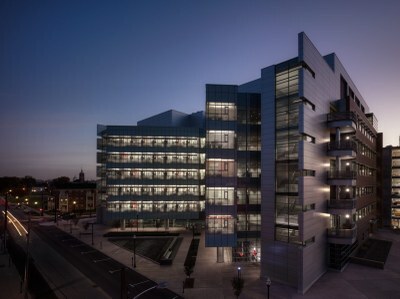 Departmental faculty, staff and students are primarily located in KCCTRB but also are located in the Baxter I and II Research Buildings, the Research Tower, and the Medical and Dental Research Building on the Health Science Center campus. Some faculty and students are located on the Belknap campus. Both metered and un-metered parking is available on streets near the KCCTRB. Visitor parking also is available (for a fee) in the 620 parking garage immediately adjacent to the KCCTRB (visitor entrance to the 620 garage is on Clay Street). Inquire at the Department office (502-852-5141) regarding specific recommendations and possible waiver of parking fees in the garage.